That is the first and up today the only one Kylie in the boomerang-world molded in matrix of Composite materials. The mass-to-range-ratio (350 g weight / 80 m flight-range) is unique. Therefore it is so easy for throw and so stable in straight flight. This Composite Kylie is made of advanced materials (in order to be strong, stiff and durable), but it looks authentic. It is copy of original Australian throwing stick and it has original Australian art ornaments on the upper surface ("carving"). 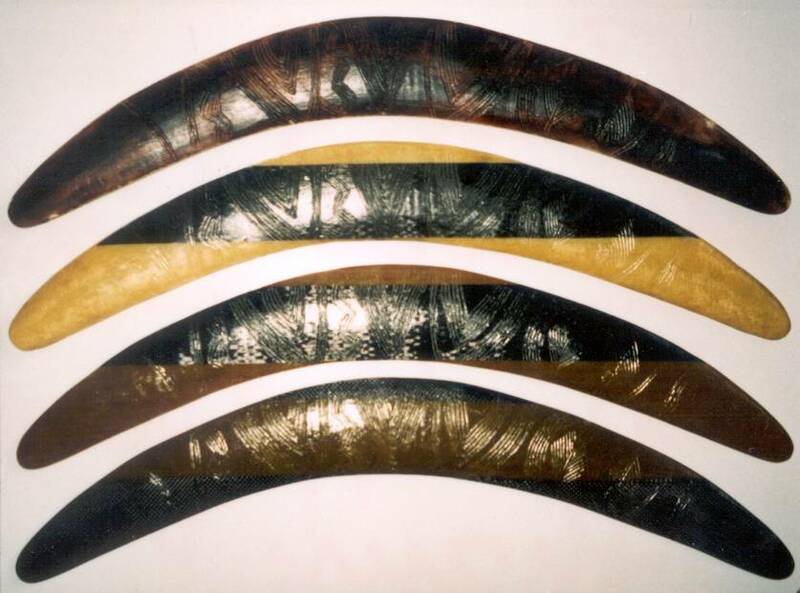 Additionally the yellow surface (aramid fabric) and the wide black stripe in the middle (carbon rowing) reminds the typical mulga wood’ “color design”. 4 different versions of "Aussie Stick"